Ms. Heffernan graduated from Idabelle Firestone School of Nursing with honors in 1982. During nursing school she worked in the hospital as a CNA, which is when she realized she loved caring for the sick. During her 28-year career, her clinical experience has focused on Critical Care Nursing, including P.C.U., E.R., P.A.C.U. and kidney/liver transplant units. Sarah also has taught peritoneal dialysis at various facilities, and eventually entered private duty home health as a nursing supervisor. 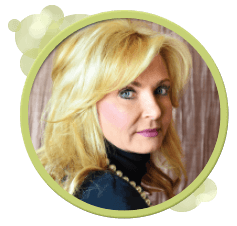 In 1997, Sarah was a co-founder of Celestial Care. In her current capacity, she is able to achieve her most fulfilling career role as a nursing team director, a function in which she is able to dedicate herself to admitting new patients, offer support to others and assist in providing the very best in nursing care. 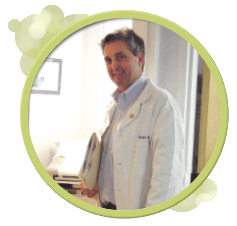 We are proud to have had Dr. Lakin as our Medical Director since 2001. Raised in the Scottsdale/Paradise Valley area, Dr. Lakin has been “at the head of his class” since graduating first in his class of 6,000 at Arizona State University in 1983. A philosophy major in the Honors Program, he was recipient of the prestigious Mouer Award for outstanding scholarship and was the first person in the history of that university to earn a coveted spot at the Johns Hopkins University School of Medicine in Baltimore MD. Dr. Lakin performed his internship and residency in internal medicine at the University of Iowa’s hospital and clinics, among the premiere internal medicine programs in the country. There, he excelled at the highest levels of clinical scholarship, achieving among the highest scores in the country on his board examinations. Currently head of Scottsdale’s Paradise Valley Medical Clinic, the Michigan native joined his father in private practice in 1990, and upon the elder doctor’s retirement continues the practice in the tradition of his excellent training and the high quality of patient care established by the senior Dr. Lakin. Dr. Lakin is consistently recognized as a Phoenix Magazine Top Doctor.